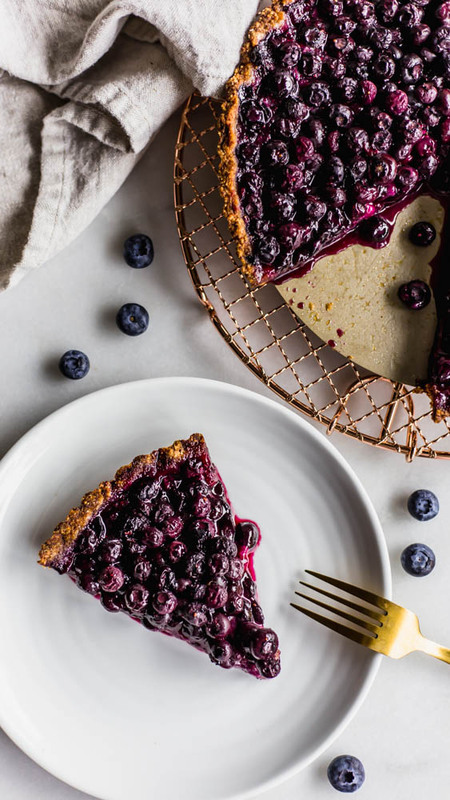 This Simple Paleo Blueberry Tart wraps fresh, juicy blueberries in a nutty almond flour crust that is packed with flavor. 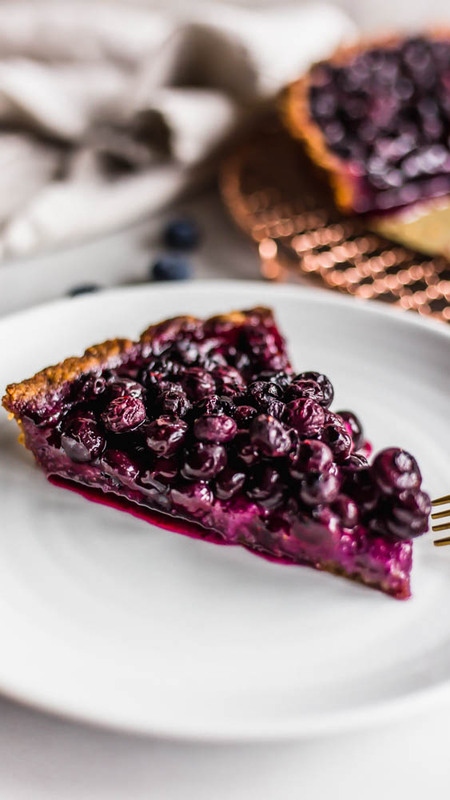 You’ll never know this is a healthier dessert and it will quickly become a favorite at the table! 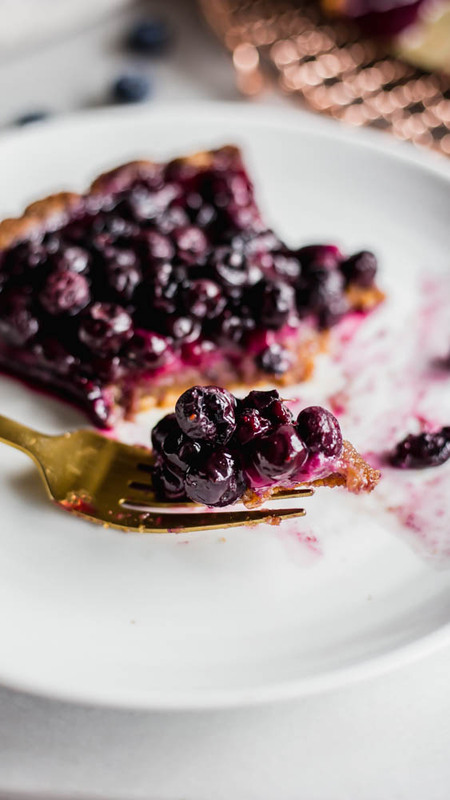 GREAT NEWS – it’s apparent we all really like pie. Hallelujah. No really, this is great. 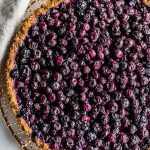 You guys have been loving my pie recipes lately and I am kind of like…really pleasntly suprised. I guess I shouldn’t be. you people rule. Anyway, in my weird little mind when I play around with alternate life situations, I like to imagine myself as Keri Russell in the movie Waitress. You know, the one where she bakes and talks about pie a lot. Except I’ll pass on the abusive husband part. Hard pass. Honestly, the only part I like to imagine is the little pie diner, and the problem there is that I really don’t want to work my life away in a diner. I know, I know. Her life really isn’t a great fit for me. Especially since it’s a MOVIE. But…what if we have virtual pie diner where I post pie or tart recipes each month. I AM ON TO SOMETHING, PPL. 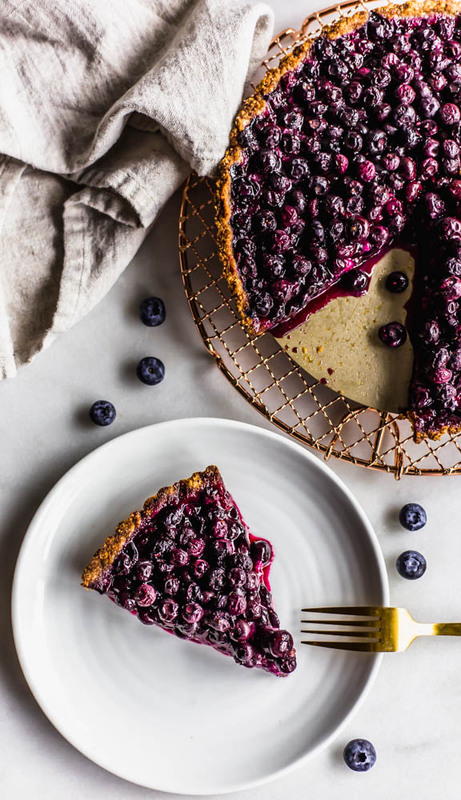 AND, here’s how you make this blueberry tart that’s made in a beyond simple almond flour crust. 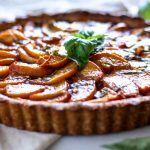 All you have to do is mix together the crust and push it into the tart pan. No rolling required. And the blueberries, mix them with some honey and lemon and call it a day. Simple is best here. Let’s be friends!! Come hang with me on Instagram, Facebook, and Pinterest or sign up for my Email List! To make the crust, combine the almond flour, coconut flour, coconut sugar, cashew butter, coconut oil, egg, and salt. Mix well, using your hands if needed. 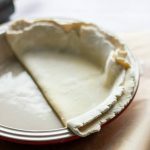 Press the crust mixture into a tart pan, pushing it into an even layer and up the sides. Place the crust in the fridge while you make the filling. Add the berries, honey, starch and lemon juice together and mix well. Let this sit for about 5-10 minutes. 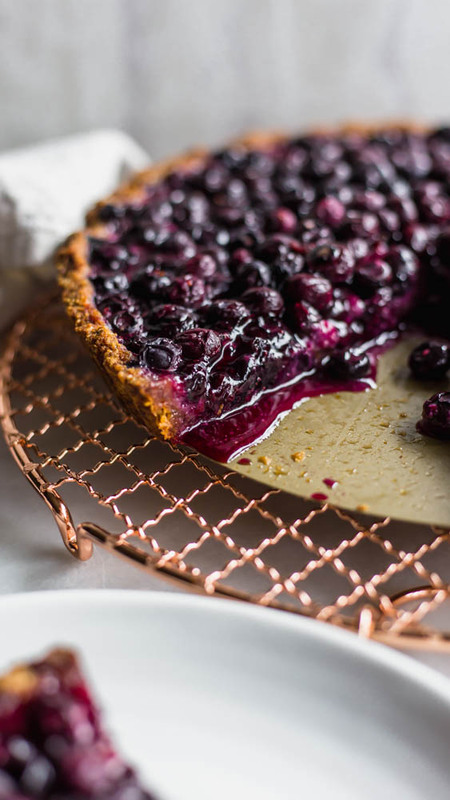 Pour the filling into the tart pan and place the tart pan on a baking sheet. 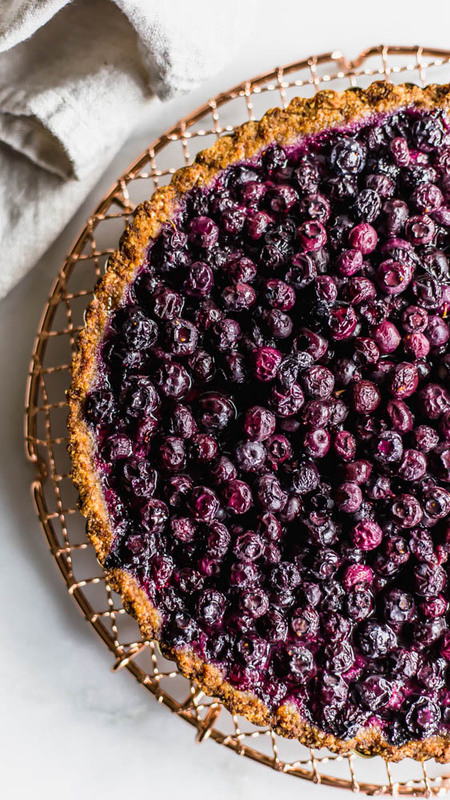 This keeps your oven clean if the berries bubble over. 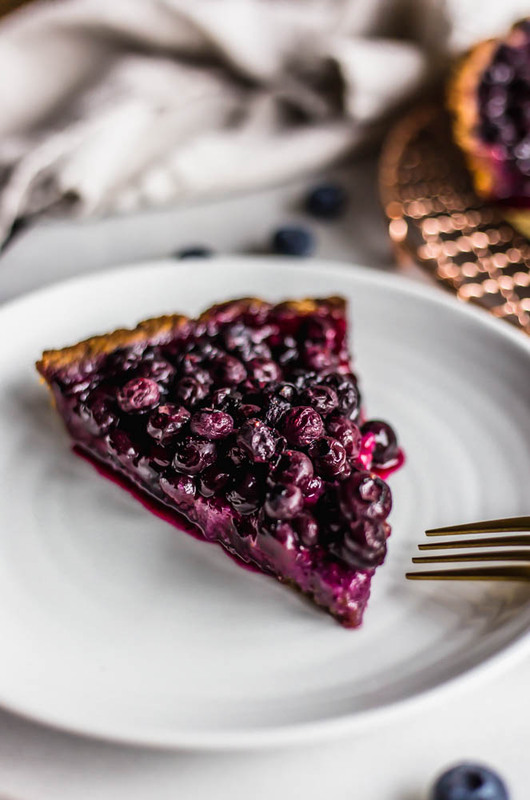 Bake for 32-38 minutes, or until the crust is browned and the berries and bubbling. Remove from the oven and cool for at least an hour, in the pan, on a wire rack before serving. Enjoy! 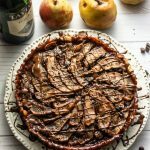 I used a 10-inch tart pan, but a 9-inch would also work. Your crust will just be thicker. Aw thank you so much, Nicolas! I’ll look for you there!